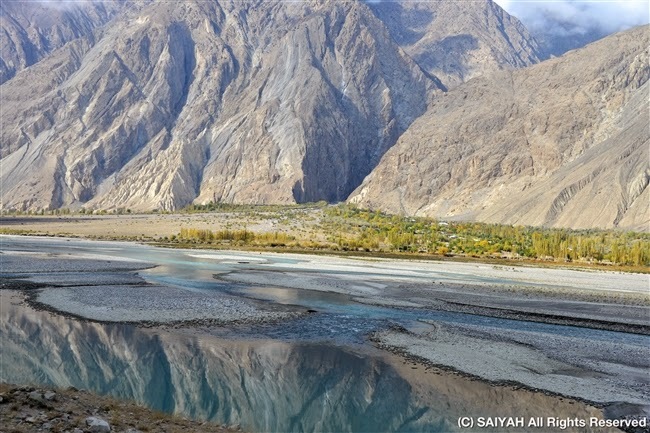 Autumn of Northern Pakistan is Consider to be one of the best of the world Shades of Leaves from red to green from orange to red wraps you .Blue green water of rivers make an amazing effect with the vibrant colors of autumn. 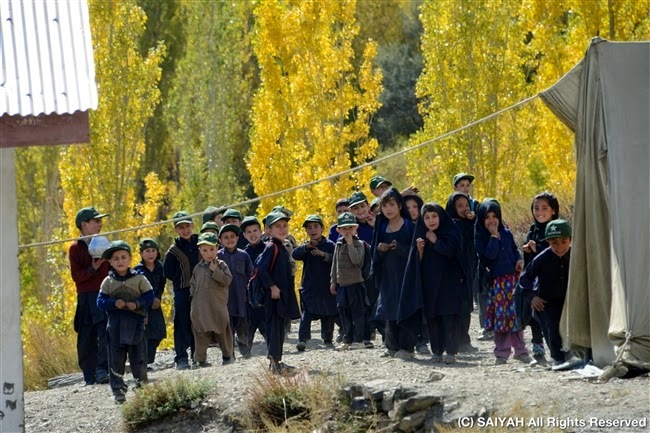 Saiyah wrap up magnificently “Autumn Northern Pakistan Series with 92 foreign guests witnessing the colors of autumn and preserve the memorable experience in their cameras and caressed hospitality of locals. Cathedral (Mountain), Passu, Upper Hunza. 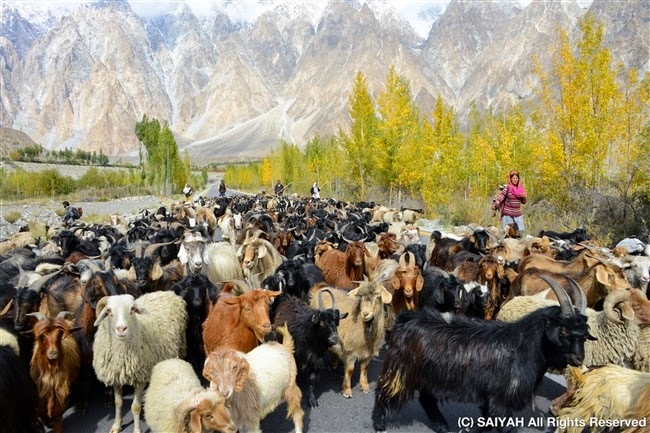 Wakhi shepherds came back from summer pasture of Batura Glacier to Passu village. 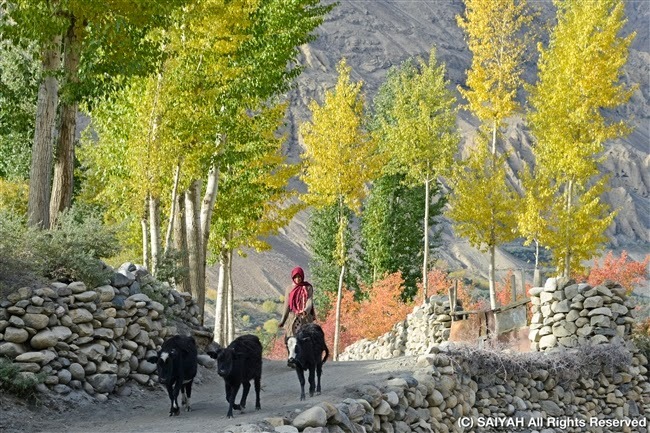 Shimshal village was so beautiful with Golden poplar tree and Red apricot tree ! Villager brought cattle to the grazing. Front of the suspension bridge of Pandar is my favorite place. Here is a photo spot to take the people and livestock across the bridge. 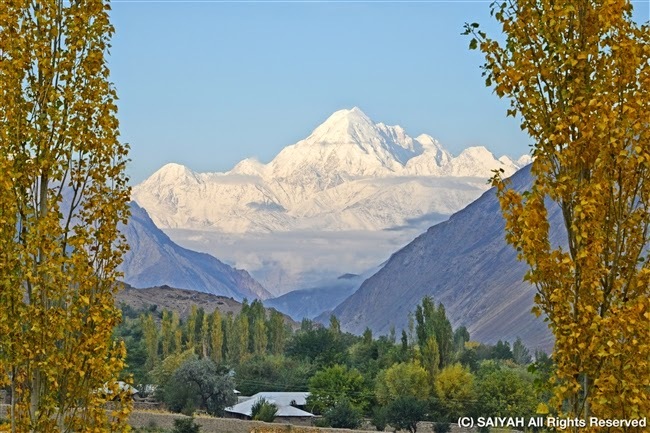 Astounding View of Tirich Mir, the highest mountain of Hindukush. This is view of the highest mountain of Hindukush, Tirich Mir 7,606m from Mastuj. After the rain, It was appeared from the clouds. The village along the Yarukhun river ... mountain in the reflection to the river! Ｗｅ　met many villagers who brought the livestock from Shandur Pass. 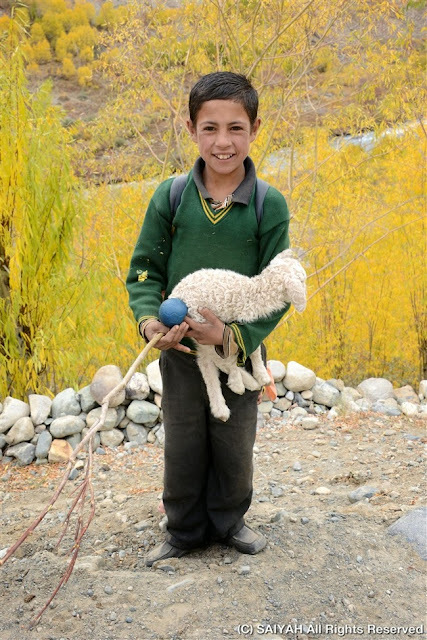 A school boy help family to bring their baby sheep. Children are curious to foreigners !